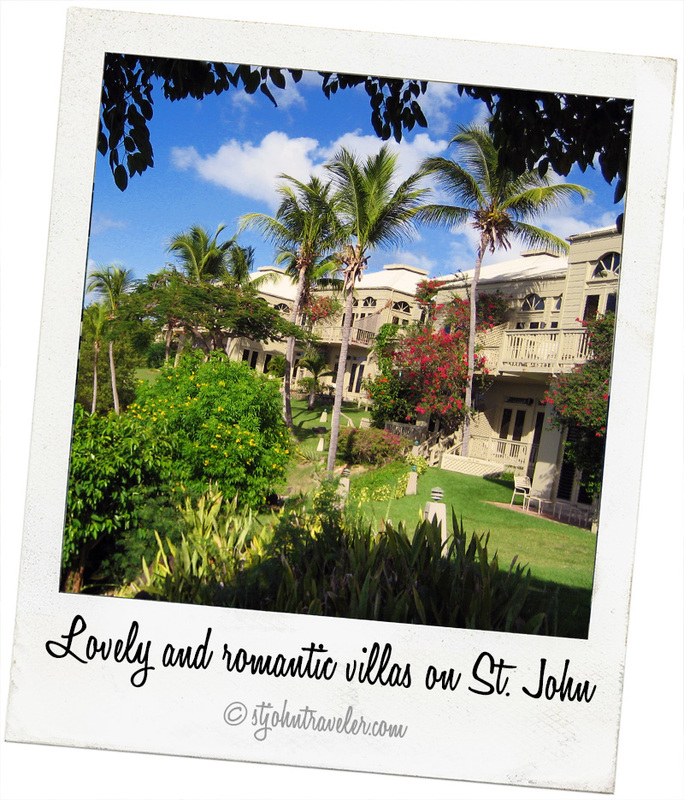 Whether it’s a cozy romantic hideaway for two or a sprawling villa for a gala event, St. John has exactly what you’re looking for! St. John’s romantic beauty and island charm make it the ideal destination for weddings and receptions. And, best of all, its secluded charm is guaranteed to be preserved because two thirds of the island is occupied by U. S. National Parkland, limiting development. That’s why so many lovebirds flock to the island to exchange vows in a pristine dreamland and return year after year to celebrate anniversaries. Villas are popular for weddings and receptions because they’re appointed with many of the comforts and conveniences of home plus adorned with many of the luxuries found at world-class resorts. There are many lovely and romantic villas on St. John. While some island resorts with villas offer wedding planning and banquet services, the independently owned villas welcome outside wedding planners, florists and just about any extravagance you want for your special day. Explore Your Options and Pick the Location of Your Dreams! Cinnamon Bay Estate on Cinnamon Bay. The exclusive Catherineberg & National Park setting of this 3 bedroom, 3 1/2 bath villa offers some of the most beautiful views and undisturbed tranquillity available on St John. Like the setting, the villa itself is superb. With its 35 foot beamed cathedral ceilings, terra cotta tiled floors, spacious living area and wrap around decks, this is the very essence of a refined and exclusive, yet very comfortable and inviting island home. A wedding favorite! The Westin St. John Resort and Villas is known as the “shimmering jewel of the Caribbean”. Located on Great Cruz Bay, this modernized, luxurious resort is surrounded by picturesque greenery, sandy beaches and the glistening Caribbean Sea. The 67 Hillside and Garden Villas are spacious, one, two and three-bedroom, fully equipped villas with semi-private and private swimming pools, full kitchens, washer, dryer and separate living areas. They even have their own Director of Romance, otherwise known as an experienced Wedding Planner, who will coordinate everything from the ceremony to world-class catering and amenities at your special event! For reservations and information about wedding packages, call 340-693-8000 ext. 1908. Gibney Beach Cottages and Villas. These quaint Cottages are located on an extraordinary stretch of Hawksnest Beach and surrounded by gorgeous botanical gardens brimming with orchids, ylang-ylang, heliconia and a plethora of flora and fauna. The Villas feature one king size bedroom and the Cottages offer two large bedrooms, each with a fully appointed kitchen, porch, television, VCR, phone, indoor and outdoor showers, A/C. and housekeeping services. Couples can snorkel the three coral reefs or relax and sunbathe on the pristine beach, use the BBQ, kayaks and indulge in a spa massage. The beauty of this unique destination is truly stunning and perfect for small, intimate weddings. For more information, call 340-643-2936 or email info@gibneyvillas.com. Artistic Beach Villas. Island artist, Donald Schnell, owns and operates a collection of unique and eclectically appointed beach villas on St. John. Choose from a number of artistically and architecturally crafted villas surrounded by island delights such as sculpture gardens, tropical fish ponds, the song of wind chimes drifting in the sea breeze and swaying hammocks inviting you to sink in and stay a while. The Beach Villa, Beach Estate, Gift Hill Villa, Villa Bourainvillea, Ocean Garden Villa and Little Whim are the perfect romantic hideaways for weddings and receptions. The owners also operate a concierge service from their pottery studio, Donald Schnell Studio, in Mongoose Junction providing information and recommendations for island dining, recreation, shopping, snorkeling and beach visits. For more information, email info@artisticvillas.com. Mooncottage Villa on Coral Bay. Tucked away in a lush garden setting and perched upon a high, rolling hillside, this lovers’ retreat is secluded and picturesque. Offering a panoramic view of Coral Bay, Tortola, Norman Island and Virgin Gorda, there’s beauty to behold from every vantage point. Designed with a Zen flair, the Feng Shui furnishing inside offer a queen size bed, upholstered sofas and chairs, teak hardwood floors, gourmet kitchen and full bath. Outside, a bubbling koi pond, graveled garden courtyard, heated pool and covered verandah overlooking the Caribbean provide the perfect setting in which to exchange vows and celebrate the union with an intimate group of guests. 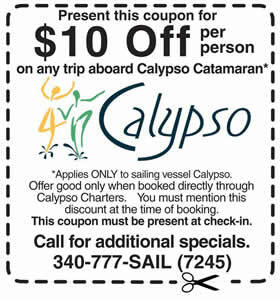 For more information, call 800-869-8017 or 214-350-6220. No matter what your needs and desires, St. John is the perfect destination for your wedding, reception and honeymoon. There are a number of wedding planners, caterers, florists and musicians to help you create the perfect day. So set the date, pick the place and let the magic begin!